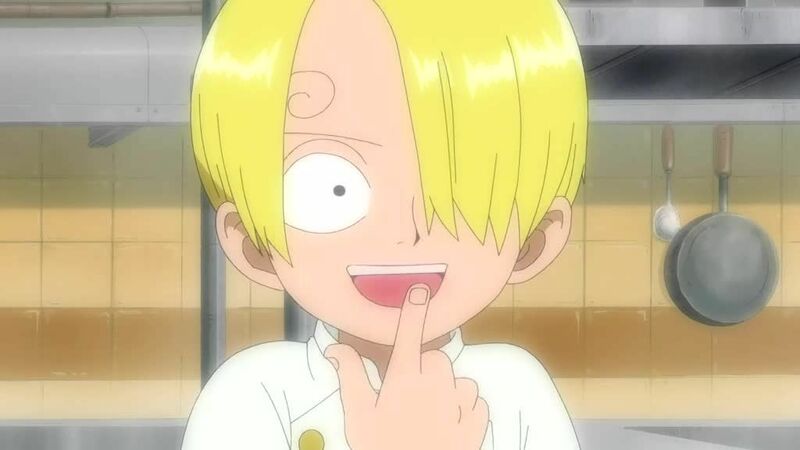 You are going to Watch One Piece Episode 427 English dubbed online free episodes with HQ / high quality. Stream Anime One Piece Episode 427 Online English dub A Special Presentation Related to the Movie! Little East Blue in Danger! The Straw Hats meet with people in places that remind them of where they came from, and Yoko becomes irritated at how easily they are bonding. The Amigo Pirates decide to head ashore, but because Largo is taking a nap, Colt leads them. Nami meets with the “Orenami” fan club, who leads her through a maze and shows her a naked statue of her, which offends her. She sees Yoko, and finds that Yoko reminds her of herself when she first met Luffy. While the Straw Hats are at a party, the Amigo pirates attack, destroying much of the village, and demand the beetle. Luffy easily defeats Colt and his men with Zoro and Sanji’s help, but Largo traps him in a needled net.